After only two rounds of fixtures, GM players are already topping the charts and breaking personal records. The best place to start is certainly at Old Trafford, where Nottinghamshire took on Lancashire in the first round of fixtures. Jake Ball took his career best match figures of 9-57 for in what turned out to be a marquee match for GM cricket. Cricket in April is often a tricky beast and this match could not have epitomised that more, with 12 wickets going down for just 25 runs in the first 90 minutes of the morning session of day 4. All 20 Lancashire wickets were taken by GM players, including another career best of 6-25 for Harry Gurney, who took 8 wickets in the match. Luke Fletcher picked up a wicket in the first innings, taking the GM total to 18 before Luke Wood completed the wicket taking festivities with 2-43. Lancashire’s Dane Vilas contributed the highest score of the match with a stubborn 49, including 6 boundaries, however it wasn’t enough to thwart the GM bowling cartel of Notts. Gurney and Ball currently share the lead at the top of the Division One wicket-taking table with 14 wickets apiece after two games each, with both averaging under 13 runs per wicket! Congratulations must also go to Gurney as he picked up his 500th career wicket across all formats in the second round fixture against Yorkshire. 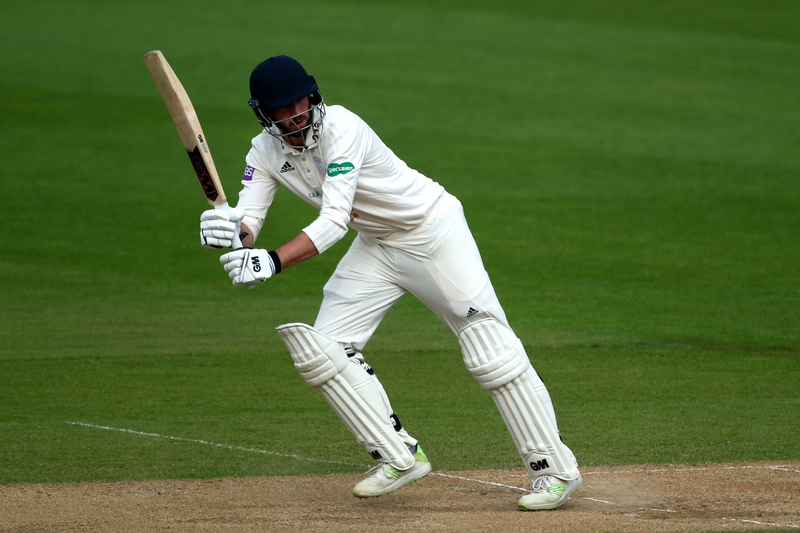 England batsman James Vince kicked off the season with a typically stylish 75 runs off 74 balls in Hampshire’s opening game against newly promoted Worcestershire. 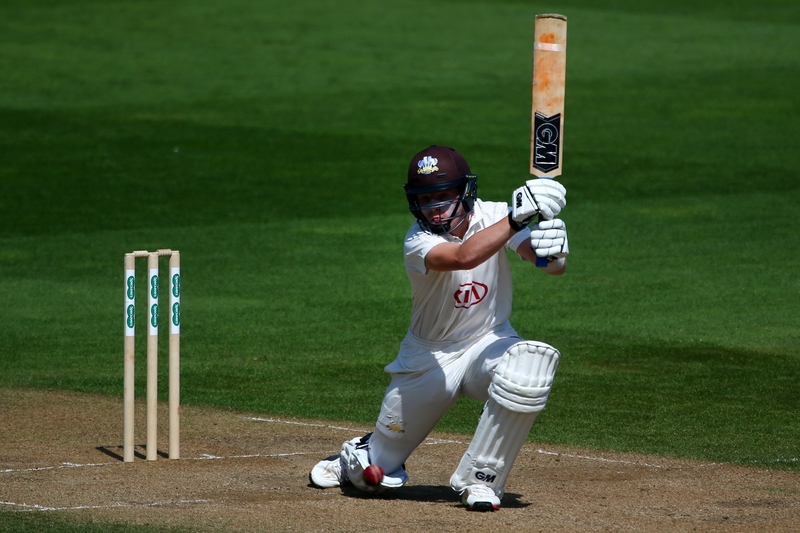 Where others struggled early on day one, Vince proved his class and showed why many believe him to be the best batsman in England when fully flowing. There were a number of rain delays in the first week of the season, including a complete wash-out without a ball bowled at Headingly. The second week, however, brought the sunshine with it. As temperatures soared, so did the amount of runs scored. In particular, GM’s own Ben Slater and Ollie Pope led the charge with the latter scoring a majestic 145, his second career ton and GM's first of the season, against a strong Hampshire attack spearheaded by two former international players. Pope has long been touted as a star in the making, and this will just be the beginning for the 20-year-old whose only other hundred came against the same side last year. Pope currently leads division one in terms of runs scored, despite a number of his counterparts having played twice as many innings this season. Slater heartbreakingly fell just one short of his deserved hundred, as he and his opening partner put on a fantastic partnership of 219 for the first wicket in the second innings. Wayne Madsen, following on from his 42 in the first innings added 57* in the second, helping Derbyshire to their first home County Championship match win since September 2014 with a 101-run victory over Middlesex in Division Two. In an agonising loss against reigning champions Essex, Jordan Clark and Alex Davies batted valiantly, scoring 59 & 71 respectively in the second innings as the Red Roses fell just 32 runs short the 320 needed. Daniel Bell-Drummond, another GM player to have long been touted as a player with international pedigree, continued where he left off after the first match in which he hit 61 in a losing cause against Gloucestershire, by helping Kent thrash Durham at Chester-le-Street in the second round. Bell-Drummond hit 45* off 64 balls as Kent chased down 93 earning their first victory of the season.